One of my favorite things about this collection is that it mainly focuses on the lives of women from numerous generations. From kids and teenagers to middle-age mothers and beyond, there is something here that everyone will be able to relate to in some form. Here we see women struggling to balance traditional, stereotypical, restrictive expectations of girls and wives with their own desires, ambitions, and happiness. While many of these experiences may be specific to those living in the middle of Mexican and American cultures, Cisneros also taps into seemingly universal themes of love, childhood, motherhood, nostalgia, etc. I finished this book feeling both frustrated at the gender inequality still present in our society and empowered by the prospect of women rising up to where we know we can be. Woman Hollering Creek also provides a fascinating and important exploration of the culture surrounding the border between Mexico and the USA. For instance, this frontera cultural is reflected in the use of language in the story “Mericans,” the title of which demonstrates the mix of both cultures that form the chicano/a identity. The kids in the story seem like Mexicans from the perspective of the American woman, yet they also speak English. When the American woman is surprised that the kids speak English, one of the boys says: “we’re Mericans.” The name of the identity that with which the kids identify is not exactly American or Mexican; rather, this name represents the border between these two cultures. It’s also an example of a misunderstanding or miscommunication between these two cultures between the kids in the story might believe that they should pronounce “Americans” without the first letter. In this way, the use of language in this story demonstrates the cultural border because the work “Mericans” is a combination of two languages that mix between the physical border as well as the different cultures in these two countries in general. 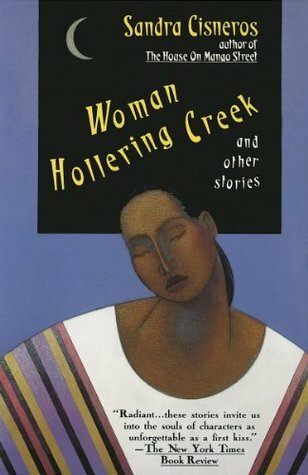 Overall, Woman Hollering Creek is an incredibly important book in a society that often incorrectly views cultures as contained, distinct, and unchangeable identities. Perhaps if more people read even one of these stories they would have a greater understanding and appreciation for what can happen when people from all nations and backgrounds come together. I would highly recommend this short story collection, regardless of whether or not your Spanish-speaking skills are up to par. What are your thoughts on Woman Hollering Creek? Any recommendations for other writing by Sandra Cisneros or similar short story collections? Let me know in the comments section below! + “A Jury of Her Peers” by Susan Glaspell. I was sucked into this story from the moment it began. 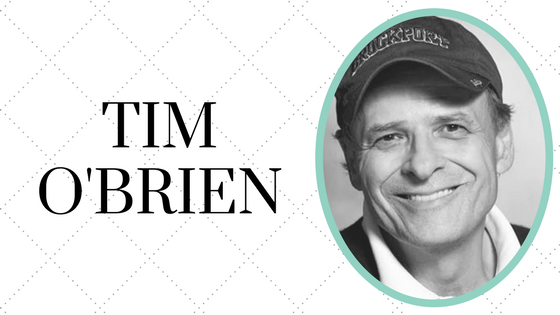 This murder mystery demonstrates a mutual understanding that can exist among women. It emphasizes the importance of being there for each other, being empathetic, and reaching out before it’s too late to do so. Though we may not always realize it, we share similar experiences that we can all learn and grow from. + “A Pair of Silk Stockings” by Kate Chopin. I read dozens of short stories by Chopin for one of my courses last semester and I love the way she manages to captivate the reader in just a few quick pages. This story counters the idea that mothers are supposed to be eternally selfless. How can you take care of others if you don’t take care of yourself, too? By choosing to splurge and spend money on herself rather than her family, the protagonist shows that women are people with needs, desires, dreams, and wills of their own. + “The Yellow Wallpaper” by Charlotte Perkins Gilman. Unlike the other stories in this collection, “The Yellow Wallpaper” is written with a sort of stream of consciousness style as though the protagonist is writing her thoughts in a journal. Though her husband, a physician, repeatedly assures her that time alone will help her “recover,” what she really desires is to play a more active, social role in society. This powerful story of a supposedly “sick” woman illustrates the way women have been trapped physically, mentally, and emotionally. 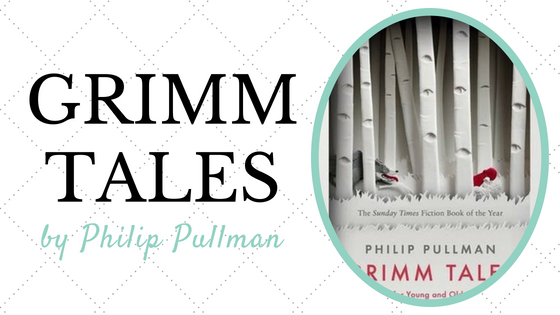 Gilman’s writing is clever, genuine, and really puts the reader in the shoes of the protagonist. + “Little Selves” by Mary Lerner. This story is just so, so sweet. Despite the fact that the protagonist is on her deathbed, she nevertheless finds solace in looking back on her happiest memories. Lerner’s optimistic story suggests that women are capable of leading fulfilling lives that they can look back on fondly. 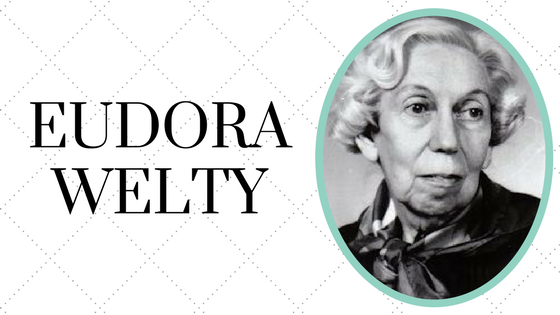 + “The Leading Lady” by Edna Ferber. I love that the overall message of this story is the importance of camaraderie and friendship among women. It made me want to call up all of my amazing friends who are women and thank them for always being there for me, just as the protagonist finds comfort in speaking with the women she meets in the hotel. This is “girl power” at its finest! + “The Bohemian Girl” by Willa Cather. 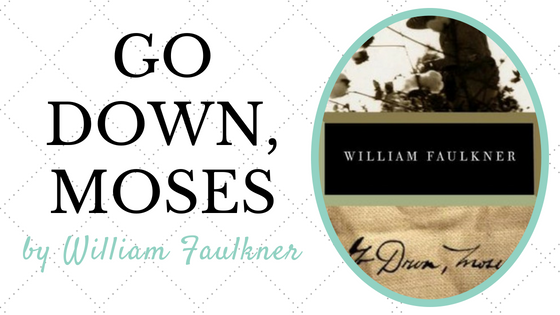 I was thrilled when I discovered that a Willa Cather story is included in this collection. I fell in love with this story from the very beginning, especially because it gives off strong My Antonia vibes. In fact, there are many similarities between this short story and that novel. For instance, there are the familiar conflicts between home and away, rural areas and cities, the past and the present. Both Nils and Jim Burden inevitably return to their pasts on the farm, though with differing outcomes. This is actually the first short story I’ve read by Cather, but it certainly won’t be the last! Overall, the entire premise behind a “taster flight” of short stories such as Hemmed In is brilliant and incredibly effective at highlighting a specific point or theme. 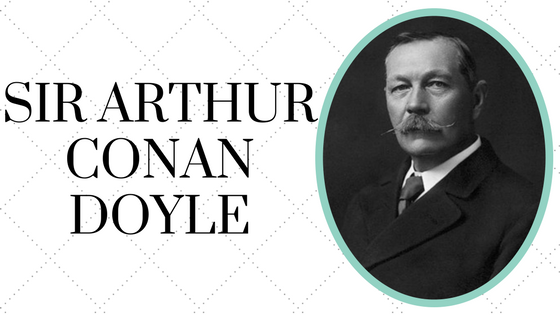 In this case, these stories work to showcase not only the talent of women as writers but also the perseverance of women in spite of the discrimination and subordination we have faced throughout history. As an added bonus, I have now been introduced to several writers whose work I need to read more of! Would I recommend this to a friend? : Yes!! 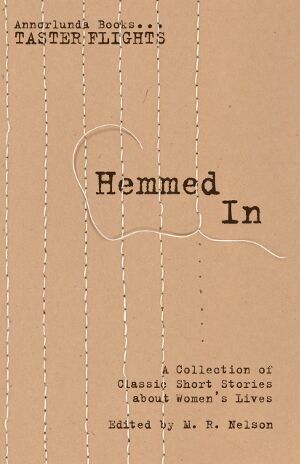 I would recommend this to anyone interested in feminist writing, any of the particular authors featured in the collection, or simply short stories in general. What are your thoughts on this collection? Have any related recommendations based on these authors? Let me know in the comments section below! Two years ago when I first entered college (it’s been that long already?!) I was faced with the dilemma of how to juggle my love of reading for pleasure with all of the work I was assigned for classes. For the most part, the solution I ultimately employed was to put my reading on pause while each semester was in session and resume reading during the liberating free time of summer, winter, and spring breaks. However, I still always kept a single book by my bed just in case I needed to read a few pages to clear my mind before falling asleep at night. 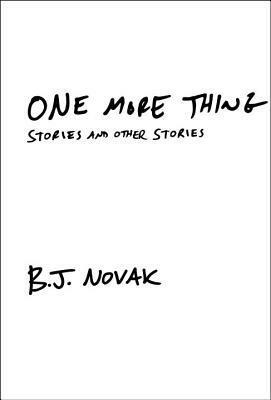 Clearly this wasn’t a frequent occurrence because I’ve had the same book on my dorm room nightstand for two years: One More Thing: Stories and Other Stories by B.J. Novak. I chose this as my nighttime read because it is a collection of short stories, making it the perfect book to dip in and out of without having to worry about picking up where I last left off. After far too long I have finally managed to finish reading One More Thing and I definitely have more than one thing to say about it! 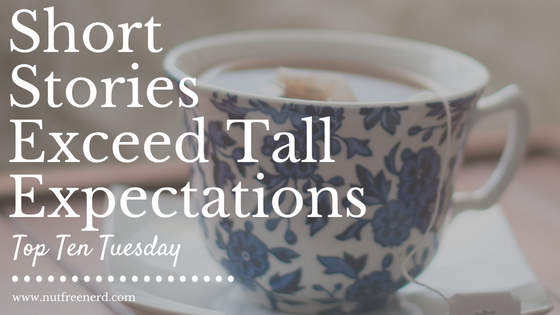 + Stories of varying lengths. This might sound a little random, but one of my biggest pet peeves is when all of the stories in a collection are the exact same length (ten or twenty pages is usually the average for most of the collections that I’ve read). 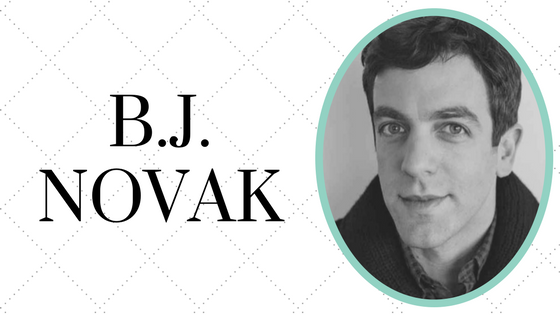 Fortunately, Novak does not fall into this trap and instead has written stories that vary considerably in length. You never know how long the next story will be: ten pages? A single page? A single line? Not only does this help make the collection more dynamic and entertaining, but it also allows for the use of many different storytelling styles, techniques, etc. + Creatively explaining common occurrences/phrases/etc. My favorite stories were the ones that built off of everyday things that we rarely give much thought to. 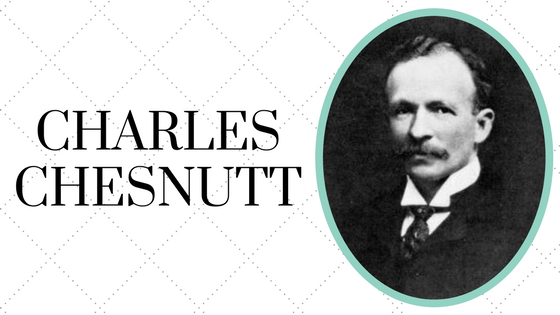 For instance, one story is about the man who created the infamous math problem involving trains and times of arrival. We’ve probably all been forced to do this kind of math problem in algebra class at some point in our lives, but have we ever stopped to think about who created it? (In Novak’s story, the creator is seriously peeved that he hasn’t received adequate monetary compensation or credit for his word problem.) These kinds of stories are as thought-provoking as they are hilarious because they force you to take a closer look at things that we say and do without questioning them on a regular basis. + Novak can write about any and all topics. Another major strength of this short story collection is the diversity in subject matter. 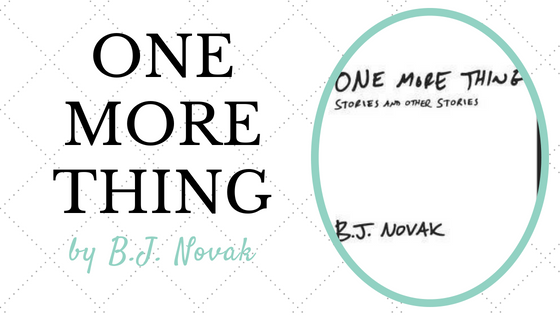 From the traditional fable of the tortoise and the hare to idealized award ceremonies and constructive criticism of construction sites from a kid, Novak has seriously covered all of his bases with One More Thing. Though this means that you will not likely connect with every single story, it does mean that at least one is nearly guaranteed to resonate with you. Overall, One More Thing ended up doing just what the title promises: it made me want to keep reading just one more story until I suddenly found myself at the last page wishing that there was somehow another fifty pages tucked into a secret compartment of my paperback. This book is perfect for when you need a witty chuckle or two. Would I recommend it to a friend? : Absolutely! Especially for fans of the TV show The Office, for which Novak was a writer. 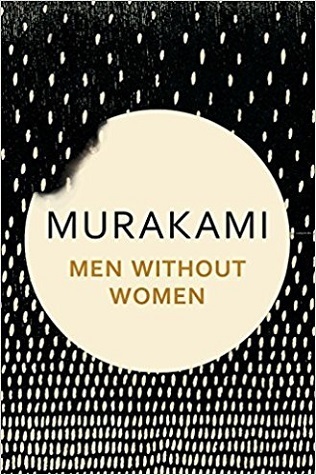 What are your thoughts on this book? Are there any short story collections that you would recommend? Let me know in the comments section below! 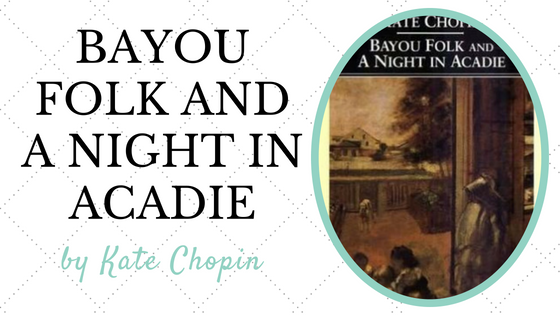 First published in 1894, Bayou Folk is Kate Chopin’s first collection of short stories bundled together in one volume. After reading this collection for one of my classes, I decided to do a bit more research about its initial critical reception. Fortunately, I stumbled upon a review published in the April 1894 edition of the Atlantic Monthly that succinctly and accurately captures several of my thoughts about this collection. “It sometimes happens, however, that a distinctive power is not fully recognized until scattered illustrations of it are brought into a collective whole” (558). Each story on its own is like a snapshot, providing the reader with a glimpse into Chopin’s world but unable to show us the larger picture. 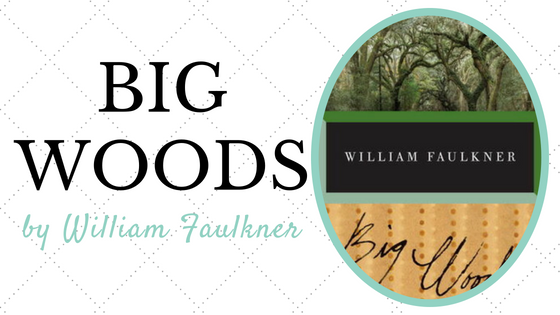 Bound together in Bayou Folk, these stories weave themselves on a loom of class, race, gender, and identity. These common themes sharpen with the clarity offered by repetition as they are reflected and refracted in an immense cast of diverse characters. One character that stands out to me is the former slave after whom the story “Old Aunt Peggy” is named. In just over a single page to text, Chopin manages to transform Aunt Peggy from a woman into a representation of the peculiar institution itself, a one hundred and twenty-five year old system of labor whose legacy lingers on long after the war has been fought. Characters like Aunt Peggy breathe life and power into Chopin’s stories, giving them the force to resonate with readers long after the pages have been turned. “Her reproduction of their speech is not too elaborate, and the reader who at once shuts up a book in which he discovers broken or otherwise damaged English would do well to open this again” (559). 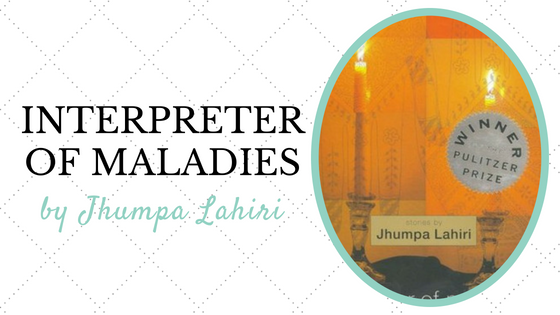 Although the variations in language may seem a bit confusing at first, the reader quickly becomes acquainted with the dialects used. Not only do they contribute to creating depth in characters, but they also help build the setting and make it come to life. It is something that she comes from the South. It is a good deal more that she is not confined to locality. Art makes her free of literature” (559). This passage stumped me at first. What could the reviewer mean by that final sentence? Does he mean that literature in general is usually restricted by locality, but in these stories she somehow liberates herself from those boundaries? I can’t be absolutely certain, but I’m choosing to interpret this statement as a celebration of Chopin’s writing ability. 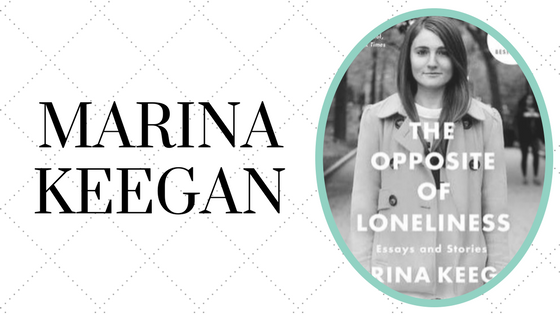 Her writing brings a warm feeling of culture and energy and life to literature, one that readers of all backgrounds can surely connect with in some way. 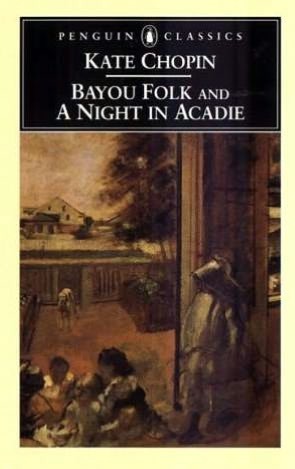 I highly recommend the short stories of Kate Chopin’s Bayou Folk, whether you read them separately or bound together in this fantastic collection. Chopin is a writer that is often forgotten in the midst of the male-dominated Western Canon, but these stories prove that her position in the literary world is undoubtedly well-deserved. 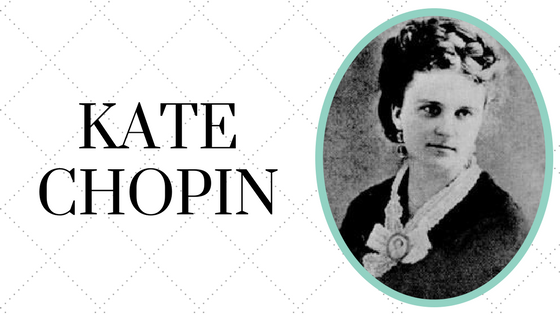 Have you read any of Kate Chopin’s stories or other works? Do you have any favorites? Any other short story collections that you would recommend? Let me know in the comments section below! 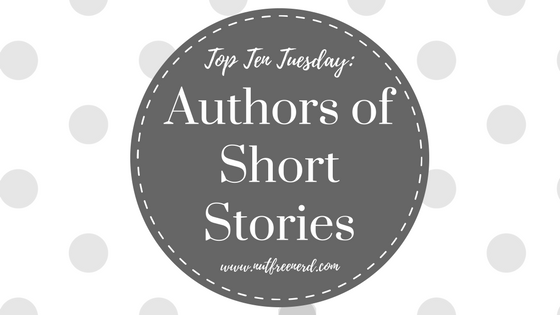 What authors are your favorite short story writers? What are some of your favorite short stories? What do you think of the authors on my list? Let me know in the comments section below! This story is very reminiscent of “The Tell-Tale Heart” in many aspects, including the narrator’s voice, the reiteration of a central idea, and the ending. As in the other story, the narrator was lacking a certain element of sanity, which is shown through his obsession with the black cat. The black cat is a reoccurring idea throughout the story, much like the white eye in “The Tell-Tale Heart”. Both stories had endings that shared similarities, such as the policemen coming to the house. (If I say any more than that I’ll be giving away too much.) However, despite the many similarities between these two stories they are different enough to still be enjoyable. This story really made me realize what an amazing writer Poe was. Honestly, he was such a masterful storyteller! 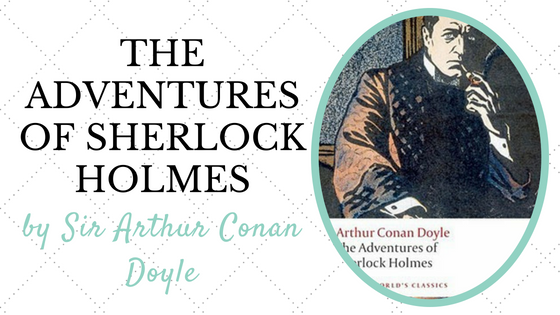 The way he narrates the story is absolutely brilliant, because it forces the reader to question whether or not he is reliable and trustworthy. 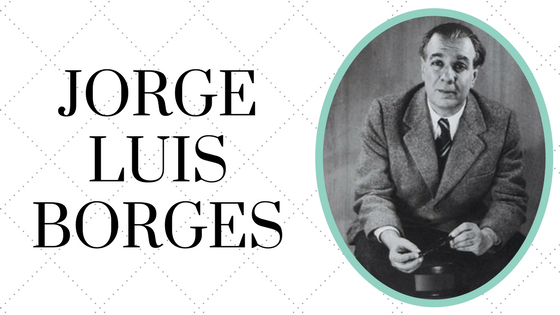 Not only does he expose the manipulability of the narrator’s mind, but he does the same thing to the reader. It’s like his words find their way inside of our minds, grasp hold of our brains, and stubbornly refuse to let go. I mean, take a look at the first sentence of “The Black Cat” (aka the quote at the beginning of this post). IT’S GENIUS. The words flow together like water over rocks, and it’s just so flawless! The last part of it is my favorite, because it is one of the only things about the story that makes the narrator seem sort of sane. The fact that he is aware that his tale is unbelievable, that there is no real chance of convincing the reader otherwise, is a fact that a sane person might accept. Starting with sanity and then gradually becoming more and more insane is just brilliant. Poe truly was a fantastic writer. Overall, I really really really REALLY enjoyed reading “The Black Cat.” It was creepy and suspenseful and the ending was completely unexpected. Comparing it with “The Tell-Tale Heart” was really interesting, yet this story is nevertheless unique and original. Would I recommend it to a friend? : ABSOLUTELY. “The Cask of Amontillado” was a creepy and disturbing tale, don’t get me wrong, but it wasn’t my favorite of Poe’s short stories. While the horror factor was definitely present, especially towards the ending, I found that I couldn’t get into the story as much as I could when I read, say, “The Tell-Tale Heart”. The narration of this story was lacking a certain distinct personality that would have ordinarily pulled me right into the moment of the action. It didn’t help that very little background information was given concerning the history between the main character and Fortunado. The absence of such information made me feel distanced from the story, as if I was jumping into the middle of a battle with no knowledge of either side. I did like the way the narrator was potrayed, because I felt sypathetic towards him at first and then I despised him towards the end. 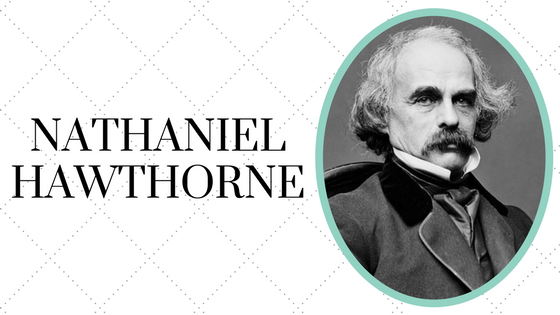 However, I felt as though more information or background knowledge would have made him a more enjoyable character to read about in general. Overall, I did enjoy reading this story despite my previous complaint. Once again, as with “The Tell-Tale Heart” I especially liked the ending, because it was creepy and dark and unexpected. I never thought that the main character would be so cruel, but then again Poe is utterly unpredictable. The setting of the catacombs was suspenseful and unsettling, perfect for the events that were taking place. I admire Poe as a writer because he really makes the reader feel as though they are walking beside the main character, feeling their fear and anticipation and often dread. 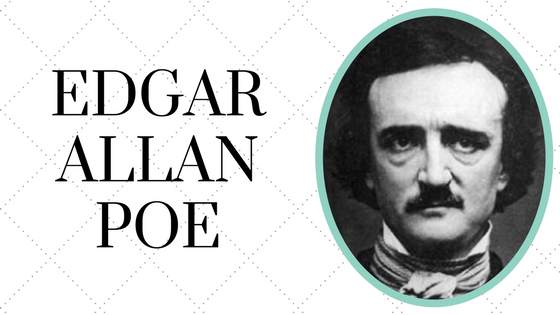 It’s this insightful look at the human mind that makes Poe’s stories so enthralling and fascinating. This is the first piece of writing by Edgar Allen Poe that I have ever read, and I absolutely loved it. One thing that really spoke to me in this short story was the way it was narrated. the narrator tells the story like he is trying to convince someone (or himself) that he is not insane, that he is mentally stable and perfectly fine. The clever part of this that I really enjoyed is that as he tells his story and attempts to justify himself he unknowingly proves to the reader that he is indeed insane. His obsession with the man’s white eye as well as his violent solution to the so-called “problem” show that his sanity is not intact, and yet the narrator firmly believes the opposite. The narration was emotional and detailed and overall very well-written. My favorite thing about this story was the ending. I won’t give it away, but I will say that it proved to me that the narrator is insane. It wraps up everything in a way that is both satisfactory and mysterious, and it is brilliantly clever. The narrator’s boastful demeanor and his obsession with the crime he has committed cause the scenario to backfire on him, which is why I think the ending is so fascinating. If he had only remained calm and kept it together, then everything most likely would have been fine. In a way he sabotaged himself. Overall, “The Tell-Tale Heart” was a fantastic story and an excellent start to Poevember. 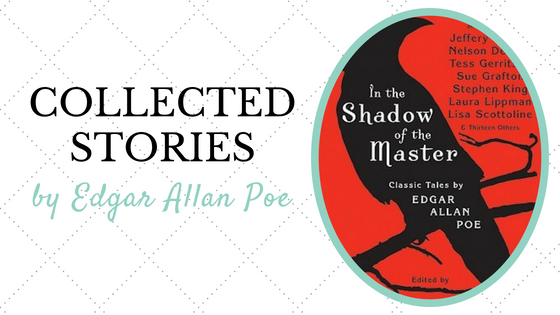 Let’s hope Poe’s other stories are great as well!